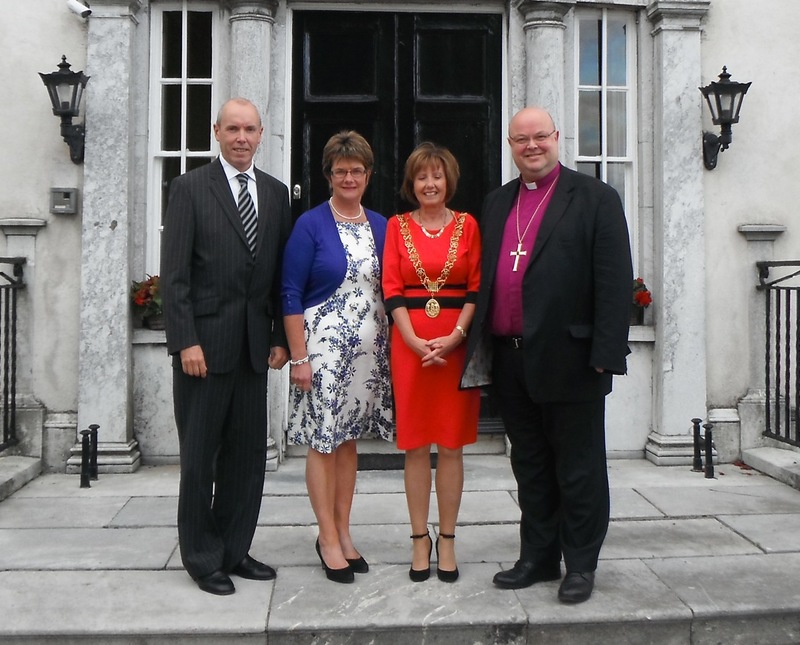 On Tuesday, 10th September the Lord Mayor of Cork made the annual courtesy call to the Bishop and Mrs Colton at the Bishop’s Palace. Pictured (l-r) are Mr Tim Lucey (Cork City Manager), Mrs Susan Colton, the Lord Mayor (Cllr Catherine Clancy) and the Bishop (Dr Paul Colton). This entry was posted in Bishop, Church in Society, Community Involvement, Cork. Bookmark the permalink.